Molecularly imprinted polymers were prepared using 2-vinylpyridine and/or methacrylic acid as functional monomers in a self-assembly imprinting protocol. 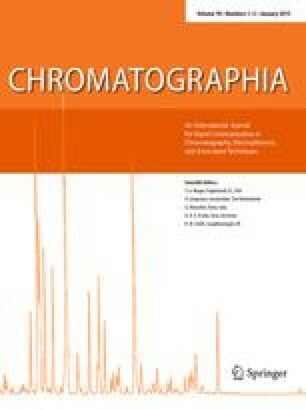 The resulting polymers were analyzed in aqueous media, and the effects from the pH of the mobile phase and the degree of added organic solvent were investigated. The results are indicative of the importance of ionic bonds in conjunction with hydrophobic interactions in the formation of the complexes between the analyte and the polymers.